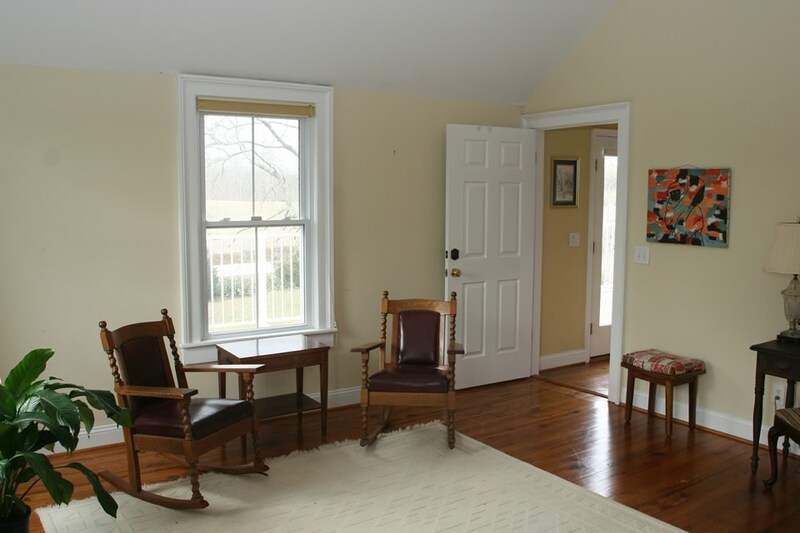 You'll find quiet country elegance in this historic family farm home. Available as a Bed & Breakfast or for family reunions, corporate events, special interest workshops and retreats. Just 10 minutes from Virginia International Raceway (VIR), but worlds away, Villa Cathedral is a gracious 1920’s farm house that has 4 bedrooms and 3 1/2 baths. 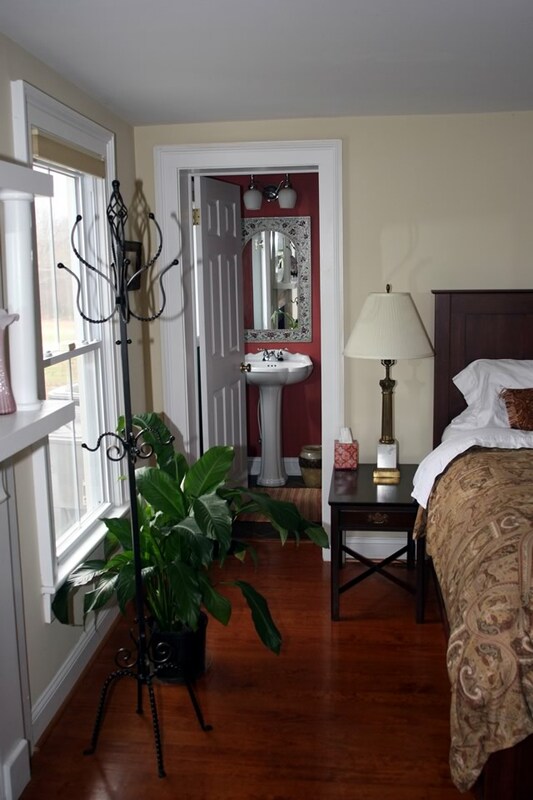 The first floor offers two guest bedrooms (Chardonnay and Merlot), each with a private bath. Upstairs in this wing of Villa Cathedral you will find the Champagne guest room that features a large private bath. 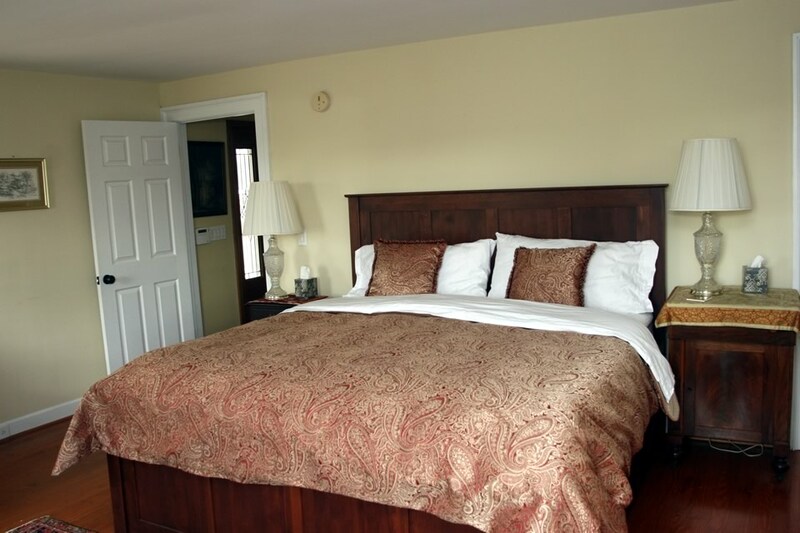 The entire 2nd floor is also available as the Champagne / Zinfandel suite. 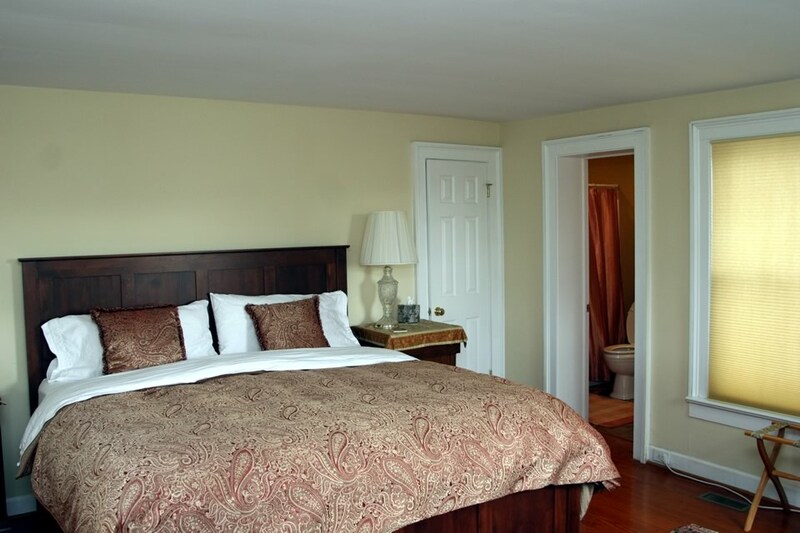 The Champagne / Zinfandel suite includes two bedrooms, a complete kitchen, and one and a half bathrooms. 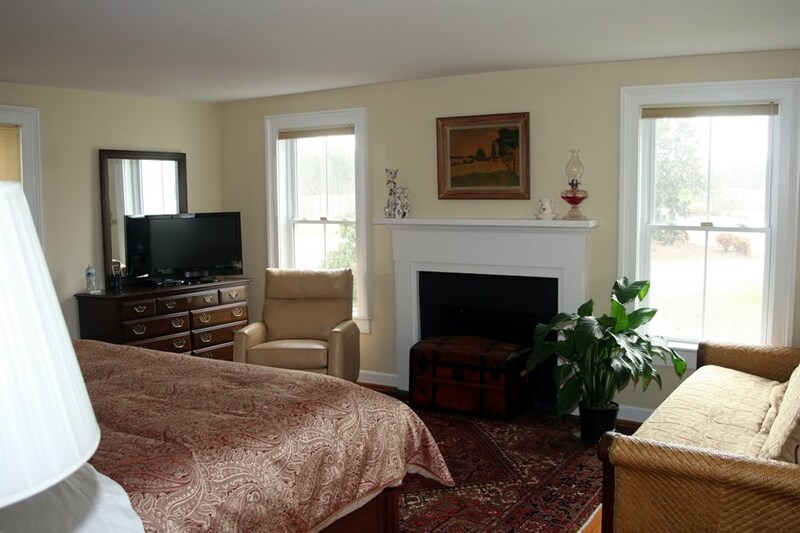 The second bedroom contains two full sized beds. Whole house rental option is available for special events such as weddings, family reunions, corporate events, and retreats. Our home was designed for large gatherings with your friends and family! You'll adore the beautiful, sunny great room with abundant natural lighting from skylights and Southern exposure, and expansive cathedral ceilings throughout. It merges with the kitchen and den areas to provide lots of comfy spots to settle into, and even has a baby grand player piano! 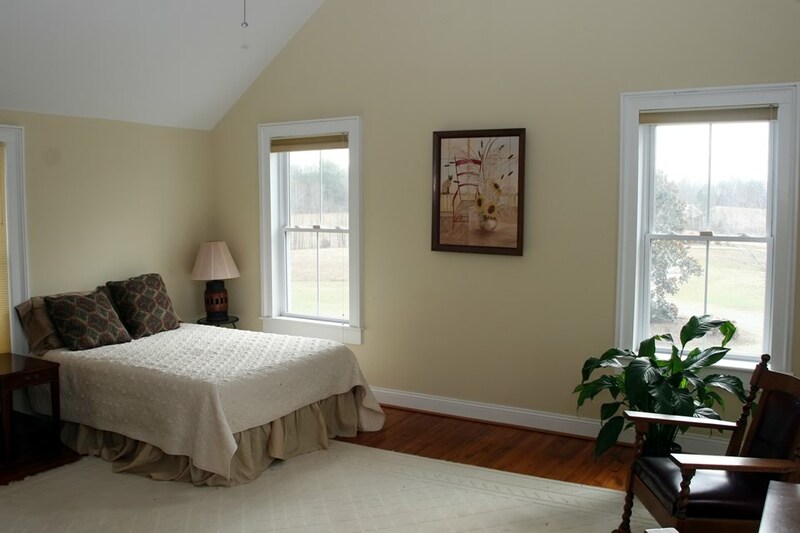 Enjoy views of peaceful open fields surrounding the home on our 190-acre family farm estate. The large covered porch on the West wing and the adjacent lawn create an ideal space for you to sit outside any time of day or night to enjoy reading a book, listening to the sounds of nature or visiting with your friends. 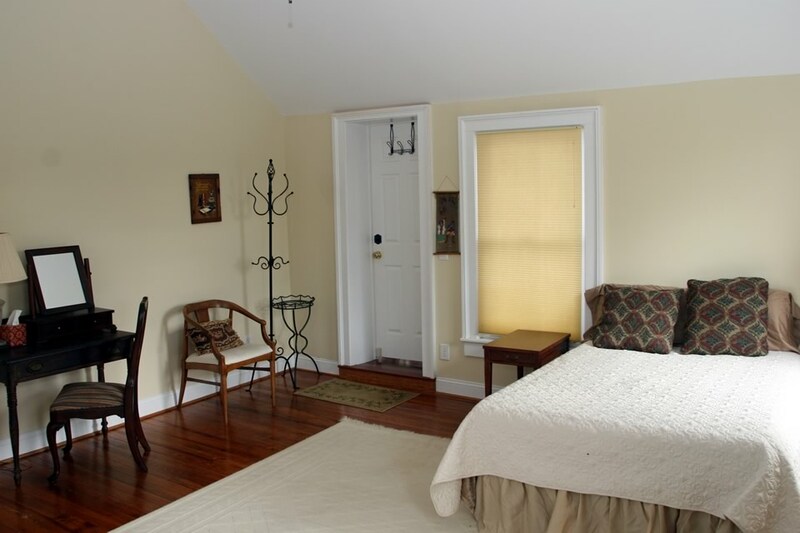 The large open balcony above the porch is a terrific spot for watching the sunset or stargazing! Whether for relaxation or romance, you'll love this space. The South lawn area has a firepit and Adirondack chairs for an evening under the stars ... and roasting marshmallows! Light continental breakfast or full, hot breakfast. We serve breakfast starting early for the convenience of our VIR track guests. Scroll down to view amenities.